The hot summer months in Texas wreak havoc on white-tailed deer and supplemental deer feeding may be necessary. As natural food sources are low, they will be looking for supplemental feed sources wherever they can be found. This is antler growth season and deer need high quality nutrition in order for maximum antler growth. Better milk production for lactating does – translates to better muscle and skeletal growth for their fawns. 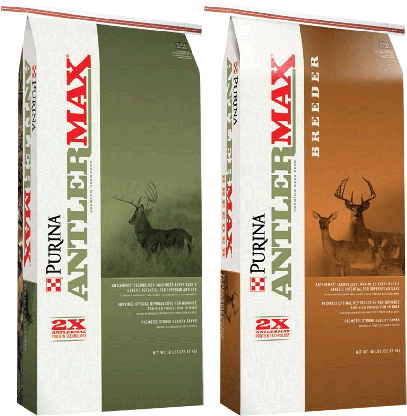 We recommend feeding Antlermax, 20%-protein pelleted ration designed to enhance the deer’s natural forage diet. Formulated with patented AntlerMax® Technology. Improves antler size and mass and improves body condition. Optimum reproductive performance and strong healthy fawns. 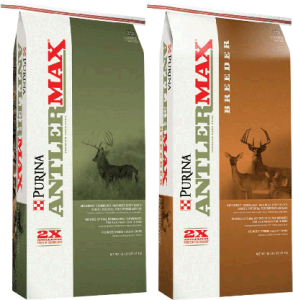 Proprietary AntlerMax® Mineral – optimal antler growth, density and strength. Highly palatable – strong proprietary flavor attracts deer and elk. To be fed free-choice with adequate forage or quality hay. This entry was posted on Monday, July 25th, 2016 at 12:16 pm	and is filed under News & Updates, Wildlife, Deer. You can follow any responses to this entry through the RSS 2.0 feed. Both comments and pings are currently closed.